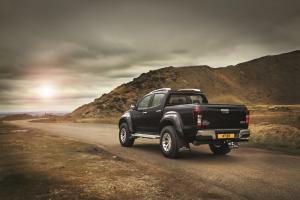 If the already-capable Isuzu D-Max isn’t tough enough for you, the company has launched a collaboration with Arctic Trucks to produce the most extreme pick-up ever sold through a UK dealer network. 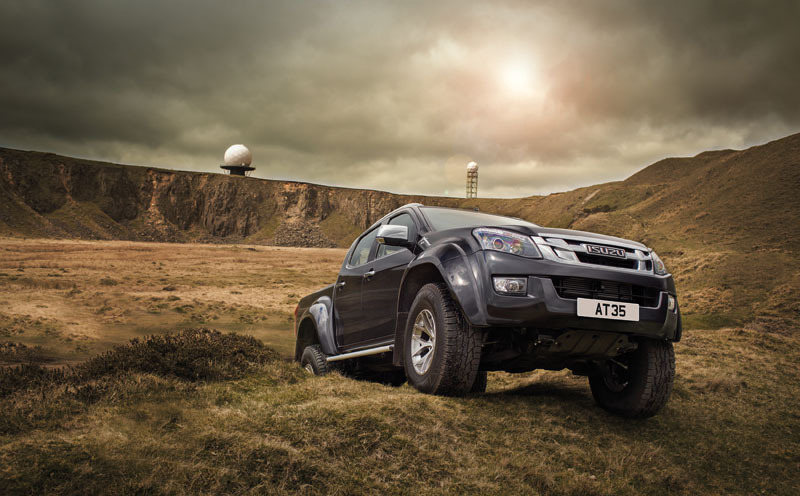 Arctic Trucks have been building 4×4 vehicles to tackle the most hostile environments on the planet for the last 25 years, and their latest creation is the new Isuzu D-Max Arctic Trucks AT35. 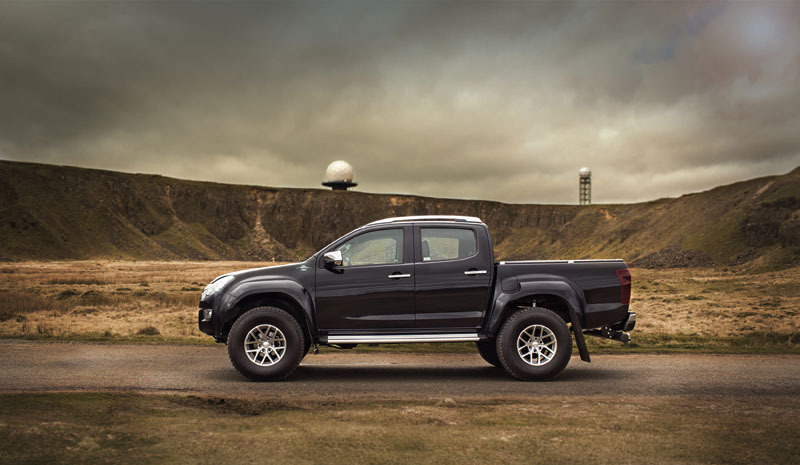 Available in either extended- or double-cab configurations, the AT35 features 315/70 R17 Nokian Rotiiva AT tyres on 17″ x 10″ wheels, all covered by extended fender flares. 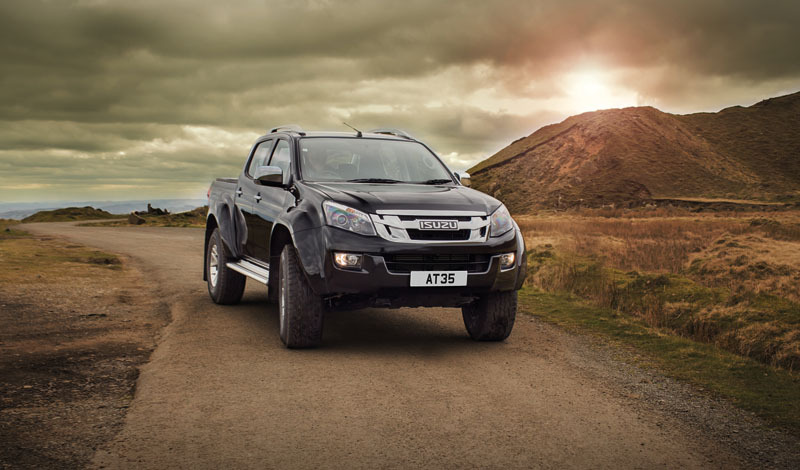 Fox suspension with specially-tuned dampers combines with the larger tyres to increase ground clearance by 125mm to 290mm, while the approach angle increases to 36 degrees. Front and rear receiver hitches are included for easy recovery or to accommodate removable attachments such as winches, etc. Power comes from Isuzu’s familiar 2.5-litre twin-turbodiesel engine developing 163PS and 400Nm of torque, mated to the company’s part-time four-wheel-drive system with shift-on-the-fly capability, through either a six-speed manual or five-speed automatic transmission. The AT35 retains the D-Max’s 3.5-tonne tow rating and one-tonne payload capability, plus the rear bed liner and LED rear lights. Double-cab models come as standard with heated leather seats, climate control, roof bars and rear parking sensors, with a Pioneer navigation system and reversing camera available as an option. 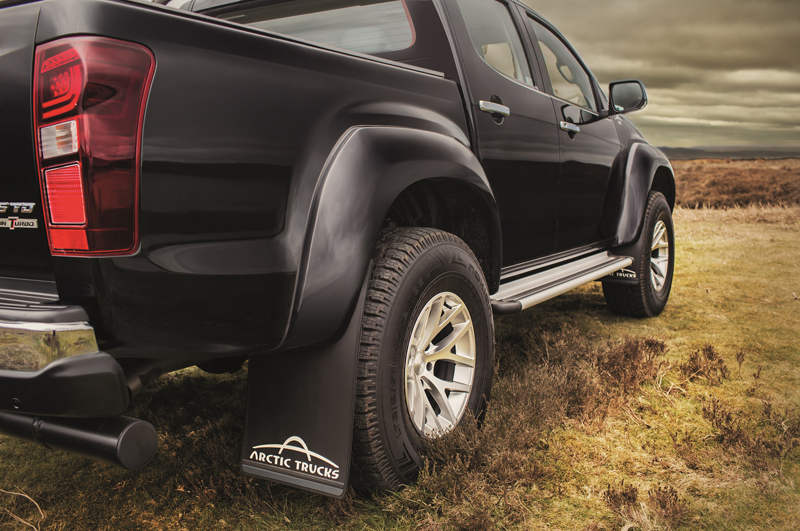 Optional Arctic Truck accessories include a 27-LED square work light, additional skid plates, ARB tyre inflator, load bed covers and an Arctic Trucks Sports Bar. 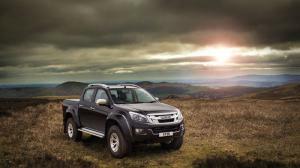 Prices start at £30,999 for the extended cab AT35, while double cab models start at £33,495. 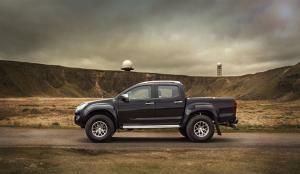 Best of all is that, as a standard production model, the Arctic Trucks modifications are included in the AT35’s standard insurance rating, and are covered by Isuzu’s five-year, 125,000-mile warranty. 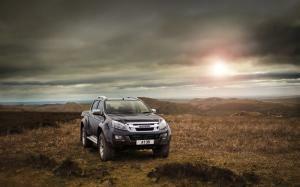 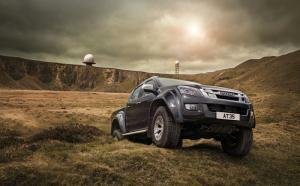 The Isuzu D-Max Arctic Trucks AT35 is available to order now from 36 specially-trained Isuzu dealers nationwide.